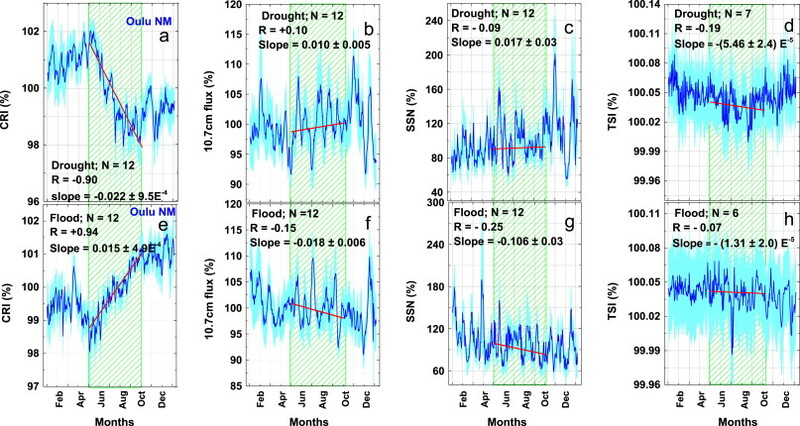 "Decreasing GCR [Galactic Cosmic Ray] flux may suppress the rainfall" and "Increasing GCR [Galactic Cosmic Ray] flux may enhance the rainfall"
of the Indian Summer Monsoon rainfall season. suggest an explanation, although speculative, how a decreasing/increasing GCR flux can influence the rainfall and the temperature. We speculate that the proposed hypothesis, based on the Indian climate data can be extended to whole tropical and sub-tropical belt, and that it may contribute to global temperature in a significant way. If correct, our hypothesis has important implications for the sun - climate link. 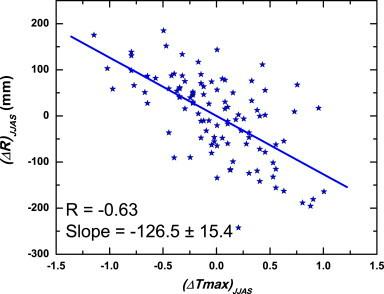 The paper follows on the heels of another published yesterday finding "proof that cosmic rays play an essential role in climate change and main part of climate variations can be explained by [the] mechanism of action of [Cosmic Rays] modulated by the solar activity on the state of lower atmosphere and meteorological parameters," and adds to hundreds of others in the literature describing cosmic rays and many other potential solar amplification mechanisms of solar activity upon Earth's climate. Under suitable environmental conditions changing GCR [Galactic Cosmic Ray] flux influence precipitation. Decreasing GCR [Galactic Cosmic Ray] flux may suppress the rainfall. Increasing GCR [Galactic Cosmic Ray] flux may enhance the rainfall. Rainfall and Temperature variabilities are inversely related at least in ISMR season. 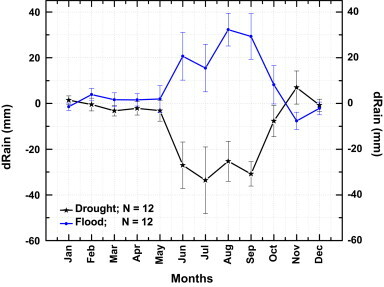 We study the role of galactic cosmic ray (GCR) variability in influencing the rainfall variability in Indian Summer Monsoon Rainfall (ISMR) season. 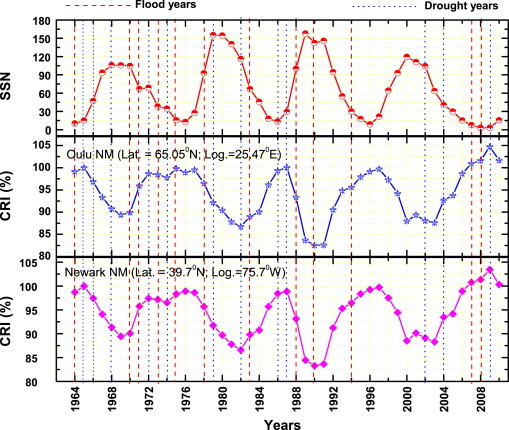 We find that on an average during ‘drought’ (low ISMR) periods in India, GCR [Galactic Cosmic Ray] flux is decreasing, and during ‘flood’ (high ISMR) periods, GCR [Galactic Cosmic Ray] flux is increasing. The results of our analysis suggest for a possibility that the decreasing GCR [Galactic Cosmic Ray] flux during the summer monsoon season in India may suppress the rainfall. On the other hand, increasing GCR [Galactic Cosmic Ray] flux may enhance the rainfall. We suspect that in addition to real environmental conditions, significant levitation/dispersion of low clouds and hence reduced possibility of collision/coalescence to form raindrops suppresses the rainfall during decreasing GCR [Galactic Cosmic Ray] flux in monsoon season. On the other hand, enhanced collision/coalescence efficiency during increasing GCR flux due to electrical effects may contribute to enhancing the rainfall. Based on the observations, we put forward the idea that, under suitable environmental conditions, changing GCR [Galactic Cosmic Ray] flux may influence precipitation by suppressing/enhancing it, depending upon the decreasing/increasing nature of GCR flux variability during monsoon season in India, at least. We further note that the rainfall variability is inversely related to the temperature variation during ISMR season. We suggest an explanation, although speculative, how a decreasing/increasing GCR flux can influence the rainfall and the temperature. We speculate that the proposed hypothesis, based on the Indian climate data can be extended to whole tropical and sub-tropical belt, and that it may contribute to global temperature in a significant way. If correct, our hypothesis has important implication for the sun - climate link. Henrik Svensmark (Danish physicist) came up with the cosmic ray theory more than a decade ago. CERN subsequenty confirmed that the cosmic rays could indeed influence cloud cover.